Money can be the most difficult conversation ever had in a dental practice. A lifelong patient can be lost over a $25 misunderstanding. It can be awkward and embarrassing when there are communication issues. Often the initial barrier to a financially healthy practice occurs at the time of service. Do you collect at the time of service? Are you confident? It’s amazing what can happen when your patients and your team know what is expected. You want to be confident your team is following your office financial policy, providing written financial arrangements and collecting at the time of service … but do you really know? Many practices manage by feel, instead of fact. Having a clear written financial policy, not only for your patients but also for your team, is key. Expectations around payment and collecting should be clear. 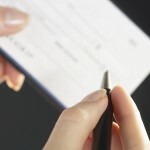 Having a signed financial arrangement form for a treatment plan will increase collecting at time of service. Office financial policy and signed financial arrangements go hand in hand. When was the last time you or your team reviewed your financial policy forms? Is it signed by every new patient or is it still a short paragraph at the bottom of your health history form? Do you provide a financial arrangement form to all patients accepting treatment – or are they just told the cost and what you might expect from their insurance company? Your team may be letting patients know what their portion or “investment” is, but do they share with them when they need to be prepared to pay it? Does your financial policy reflect what you want to communicate to your patients? If you asked each team member what the financial policy was for the practice, could they tell you? This includes assistants and hygienists. How would you rate each team member’s comfort level in asking for payment at the time of service? Have your team practice these conversations to help make everyone more comfortable. These are all great questions that should be asked regularly, but now what? Take the time to review with your current financial documents and policies. Look at your over-the-counter collection ratio. If your practice accepts assignment of insurance benefits, your over-the-counter collection ratio should be between 40% – 45%. If you’re not close to this, your team is not collecting at the time of service. Have a team meeting to review the current or new financial policy and arrangements and talk about how financial communications impact the patient and develop empathy. Every team member should be familiar and comfortable with them. They may not be the person discussing the financial arrangements or reviewing the policy but they should know. You never know when that key person may have stepped away from the desk just when a patient is being dismissed. If everyone knows what the policy is and where to look for the amount due that day, it can be collected. Ask your team directly how comfortable they are with asking for payment at time of service. What are the objections they are encountering? Lack of team training is the biggest disconnect in this area. Without confidence, it is difficult to communicate with the patient. With the right system in place, office financial policy and financial arrangements, patients won’t feel blindsided and your team will be comfortable collecting what the patient has already agreed to pay. Ultimately, it’s about communication and expectations, both of which begin with you. OnTrack offers resources that will help implement strategies for increasing collections and track your results. Go to www.myontrack.com for more information or speak to your Patterson representative about how to sign up to use OnTrack in your practice. Great article, I just have a question please .. As you mentioned in the article, It is important to communicate with the dental team to improve collections , but is there anyway to communicate with patients through a professional and smart marketing pathway to emphasis the importance of collection as well without being appeared awkward? Great question! One way to achieve your goal is to have a system set up with your front office/office manager and implement the correct verbiage to communicate this emphasis to your patients. A successful way to discuss this with your patients is at the time of scheduling for the appointment, require a $25 deposit to set up the appointment. Indirectly, this lets your patients know that your time is worth something! While establishing the $25 down payment, the patient will already be invested in their dental care, therefore invested in their next treatment. Before the patient leaves it is the job of the front desk/office manager to communicate to them that the final balance will be due at the time of service. There is nothing wrong with communicating that you mean business, of course, after providing the necessary care and love to your patients.